Come and enjoy some of our spectacular walks here on Bere Island. Nearly 20kms of the Beara Way (waymarked) is here on our island so there is more than enough walking to keep even our most ambitious walking guests occupied for the whole weekend. As you walk you’ll be rewarded with beautiful scenery, stumble across some historical Martello Towers and Bronze Age standing Stones and even see lighthouses at each end of the island. The walkways are primarily along off road pathways and sometimes venture onto our very quiet roads. Our more experienced walking guests enjoy the challenge of our islands hilly terrain (highest point 270m) which form part of the more difficult routes, while others enjoy the peace and calm of our islands beautiful scenery as they ramble along the more moderate walking routes. As a qualified Local Tour Guide I organise and lead walks. Our guests find these a useful way to learn more about our island, I am always delighted to point out the best walking routes along the way and give a flavour of the unique history of our island. 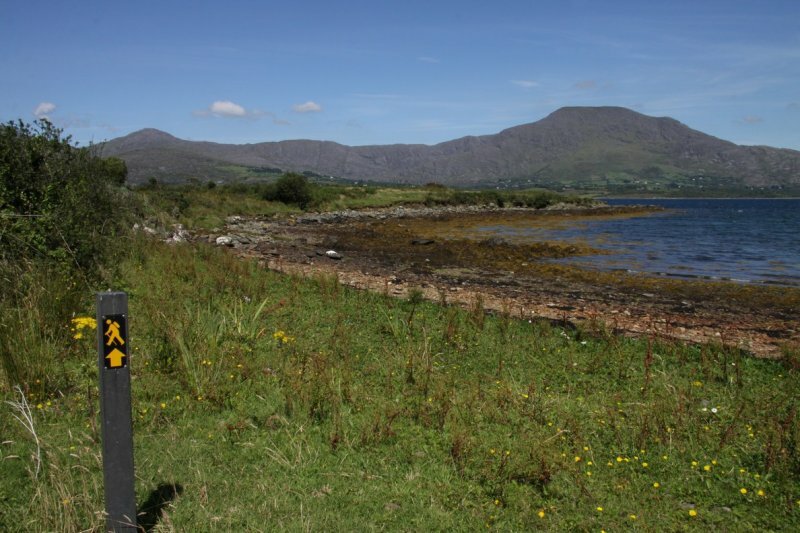 Bere Island Walking Weekends Package: Dates: April 4-6, June 27-29, September 19-21, October 24-26.